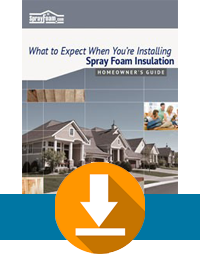 Contact Salem Spray Foam Insulation Contractor | Get Quote! Orr Insulation offers top-quality services for residential and commercial properties for both existing structures and new construction. Whether you need small repairs or insulation applied in the walls and floors of your entire home, we have the skill and expertise to get the job done promptly and seamlessly. Our diagnostic testing can help us find air leaks in your home, identifying areas where air is coming in or escaping out. It can also reveal if your home is too air tight. Orr Insulation will l make sure all areas of your home are insulated properly including your walls, attic, windows, doors, and ducts. In addition to keeping your heating and cooling expenses under control, our spray foam and fiberglass insulation services are also highly effective at reducing unwanted noise and soundproofing the areas that are sprayed. Furthermore, it helps to reduce the growth of mold and mildew in your property. Insulation means more than just walls. We can replace doors and windows with energy-efficient alternatives. We can help you find an option that looks great and saves you money! Contact us today to learn more about our services or to schedule your next estimate consultation. References will gladly be supplied upon request. Since Orr Insulation was established in 1995, home and business owners alike in the Salem, OR area have placed their trust in us to perform comprehensive and friendly services with lasting results. Orr Insulation is a locally owned and operated company with nearly two decades of experience in the insulation industry. For your protection and peace of mind, we are fully licensed, bonded and insured. Orr Insulation is also Building Performance Institute (BPI) and Performance Tested Comfort Systems (PTCS) certified and is a proud member of the Trade Ally of Energy Trust of Oregon.